Stunning Art's & Craft style home just 10 miles from TIEC. Circular drive. Mountain views from the property. 2 car garage. 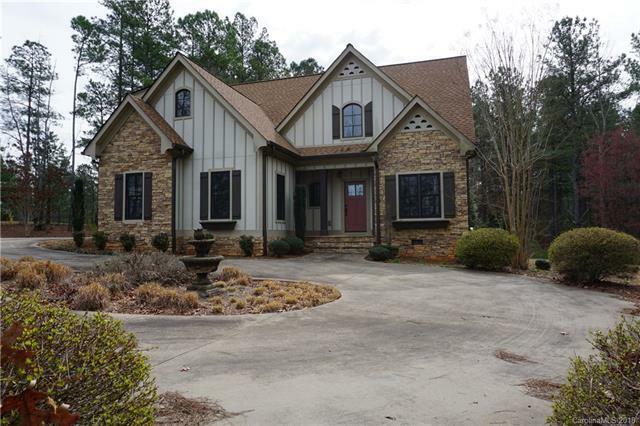 Quality built home and the craftsmanship shows throughout! 2 story entryway w/ staircase. Formal Dinning room. Granite counter tops in Kitchen, w/ many cabinets. Breakfast nook. Rock laid fireplace w/ built in entertainment cabinet. Master on main. Detailed tile work in master bath shower & around Jacuzzi 2 bedrooms upstairs in addition to Lg bonus rm above garage. Sold by Asheworth Group Wnc Real Estate Llc.